The chief incumbent of the Kataragama Kiriwehera Rajamaha Viharaya Ven. Kobawaka Damminda Thera and another monk have been hospitalised after being shot at by an unidentified gunmen, Police said. The shooting had reportedly occurred at around 11.00pm within the temple premises. It was carried out by three individuals who had arrived in a car. 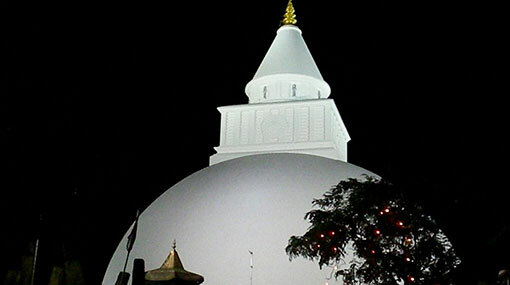 The monks were rushed to the Kataragama Hospital with gunshot wounds and later transferred to the Hambantota Base Hospital for further treatment. Ven. Damminda Thera, who was shot in the abdomen, is currently in the ICU of the hospital. The motive for the shooting or the suspects have not been identified yet while Kataragama Police has launched an investigations into the incident.